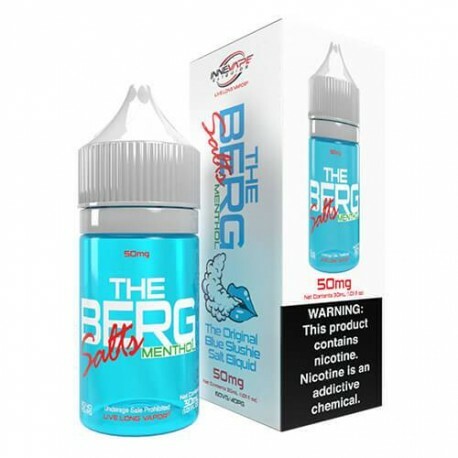 The top selling liquid in the menthol version, HEISENBERG MENTHOL, now with salt nicotine! Blue raspberry, blue ice pop, blue slushie. Intended for use in pod based devices and other low power mouth-to-lung kits. Steam Age Vape Shop ships TheBerg Menthol Salts (with nic salts) NZ & Australia-wide.